Greetings, individuals of the homo sapien persuasion. I hope you're not squeamish from the above photo (it's just iodine. And ink. And tiny bit of blood). Today I donated blood and got that rad sticker that states that I make a difference. 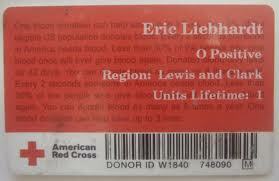 According to my blood donor card, one blood donation can help save up to 3 lives. 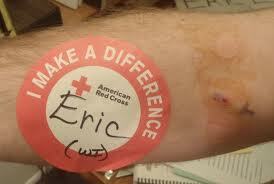 Only 8% of the eligible US population donates blood. Every 2 seconds someone in America needs blood. Less than 30% of the people who give blood once will ever give blood again. Donated blood only lasts for 42 days. You can donate blood as many as 6 times a year. Interesting, eh? Here's some more interesting facts about donating blood. When I have donated blood in the past, I get done in under ten minutes. Today, my vein collapsed and it took 19 minutes! Gah! It was forever! Luckily, they had Ratatouille on and it kept me entertained. The moral of the story is: if you can donate blood, do it! You'll save a life. Or three. Roomies! These were the Anacostia North Elders when I was living in Anacostia. 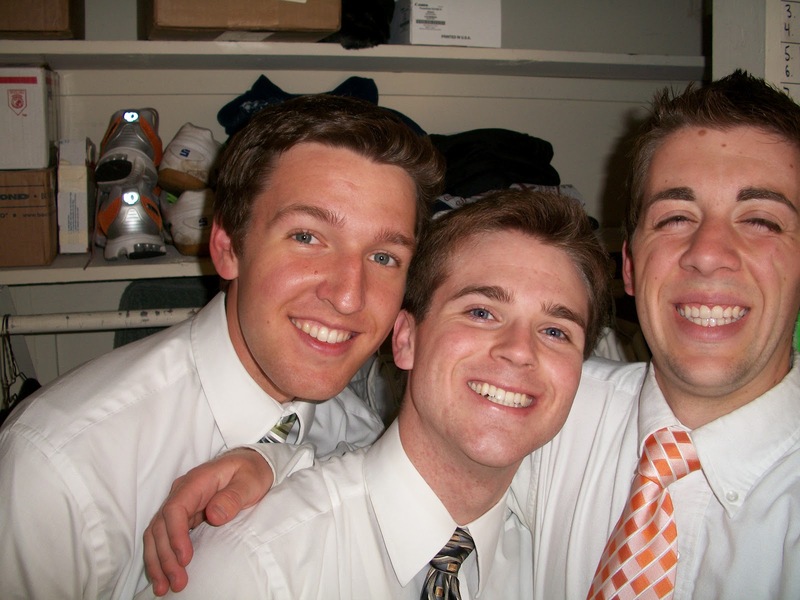 LtoR Elder Eric M, Elder Me, Elder Matthew P. I look a little heavy in this one. The mad cow is jealous!